Walked up to the front counter spoke with a man in his 40s slipped him my id and credit card with 20 dollars in between and said would you happen to have any complimentary room upgrades the guy working beside him was dealing woth my father in law and another guy on the otherside of him was dealing with my sister inlaw and said put them in these rooms. 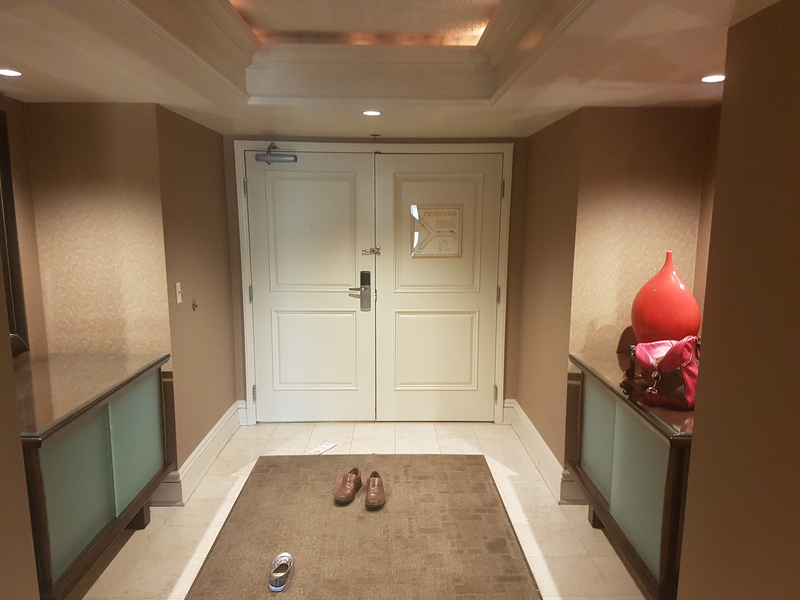 I got a tower suite over looking the strip and my sister inlaw and father in law got petitt suites. Also got complimentary champagne the whole time we were there and half price buffets. I had booked 3 Deluxe rooms. I had just gotten married two days ago, and I was bringing my in-laws to Las Vegas. I gave a $40 tip. The clerk upgraded 2 of the deluxe rooms to Strip view rooms. She also upgraded me and my wife’s room to a huge one bedroom suite. Granted it was a Tuesday and not a weekend, but nevertheless that was an amazing upgrade. She also give us a complimentary bottle of champagne for each of the three rooms! Thanks to TI! I tipped more than usual, but this is because I was wanting two rooms upgraded. So normally I would tip $20, but I thought if I had 2 rooms then $40 was fair. When we first approached the young man at the counter he only asked for my credit card, which was super awkward since I had already prepared my sandwich in between my ID and credit card. He was flabbergasted by the $40 and immediately set them on the bar back in front of me saying “he wanted to leave this here in case he did not meet my expectations”. My boyfriend and I carried on very light conversation and then the guy started saying things like “happy anniversary” and “happy birthday” (probably trying to justify this major upgrade. We made sure to mention it was our first time staying at treasure island. He then showed us our rooms in a binder which we gladly accepted. So grateful that he could accommodate us the way he did. We felt so spoiled!!! 4:30PM Vegas time. Not extremely busy but every front desk clerk was attending to guest check ins. In Vegas to celebrate finances birthday. Slipped neatly folded concealed 20 between ID and CC. Discretion seemed of top importance when seeking an upgrade here. Front desk attendant was a very nice lady, was very grateful. Received upgrade from standard room to Panoramic Strip View, which is a strip view corner room. I’ve stayed in about every hotel on the strip and this is one of the greatest views you can get. 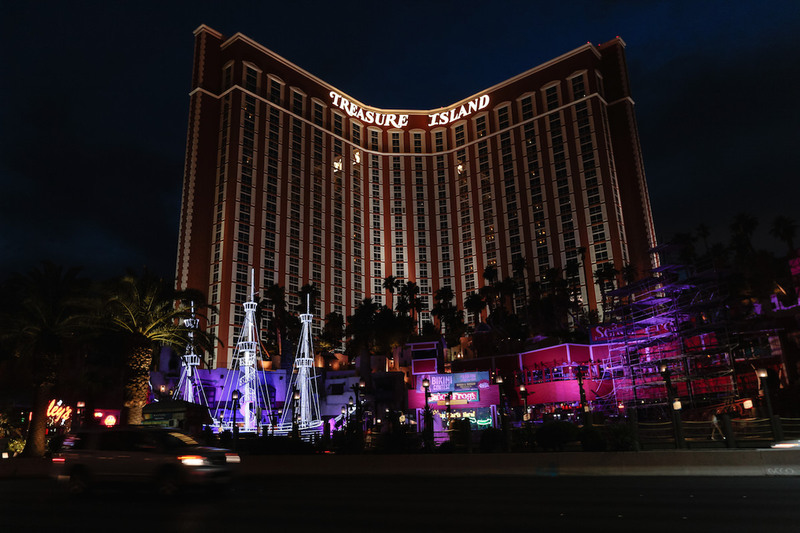 Treasure Island is an exceptional forgotten gem on the strip. We also received two days of 2 for 1 dinner buffets, various two for 1 drink coupons, steakhouse coupons, two tickets to Mystere and a complimentary bottle of champagne. My story is good and bad. I explained to my brother in-law how this is done and he checked in right after me. I slipped the sandwich and asked the younger girl if there was any comp. upgrades as it was the day after birthday. She hesitated and was afraid to help but offered free champagne. I asked for a buffet coupon and was denied also denied for waiving the resort fee. I motioned to my brother in-law to try a different person. He went to a man a did the $20 and they guy gave him a room upgrade and a 2-1 buffet coupon. I told him if you get those items then get aggressive when he mentions the resort fee and show him another $20 and ask if he can do anything about waiving the fee. The clerk said he could take care of it saving him $70. So he got a tower suite, a 2-1 buffet coupon, and $70 waived resort fee for $40. The moral of the story is make sure you get the right clerk when you check in. I think my clerk was hesitant because an older lady clerk was sitting next to her and seemed to be watching us closely and listening in. Checked in on a Friday at 6pm. Got upgrade to suite room and they sent free champagne to room. Told clerk it was birthday weekend and asked for any complementary upgrades. Had $20 under ID as soon as I walked up to desk. Very helpful. I did the $20 sandwich and was upgraded from the Tower Suite to the Luxury Suite on the 36th floor with a killer view of the strip. I was also comped resort fees and received a handful of 2 for 1 drinks plus a bunch of other coupons. This is the second time I tried this strategy at this strip and I was more than satisfied! So, we where qued up ready to be seen at the front desk and got called forward when a new deck was opened just for us. We are staying for a week so thought we would upgrade the tip to $50. I handed over the sandwich and asked if there where any complmentry upgrades and the guy (assistant manager) said he could see what he could do. While he was doing his magic we chatted away to him about our trip and what we do for work back home. After a minute or so he gave us a few room opinions and we picked one that suited us. 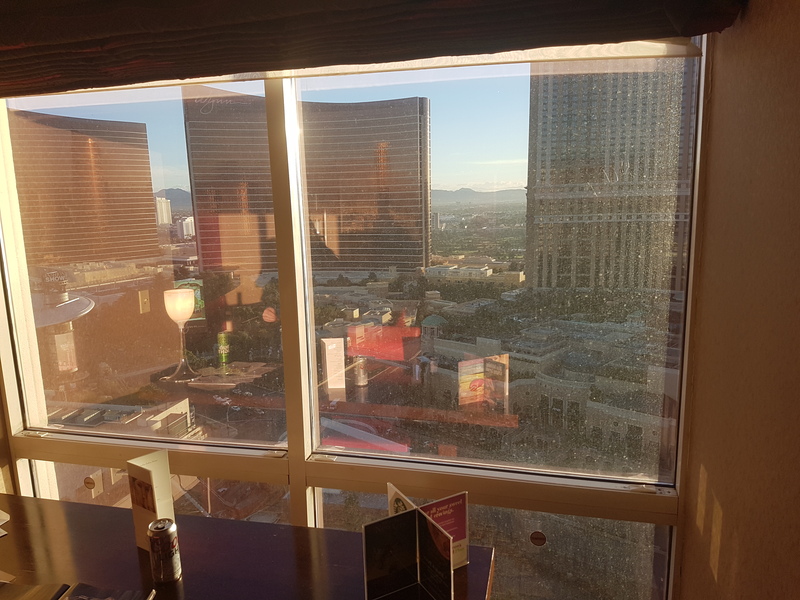 A corner veiw room of the strip with 2 windows on the 32 floor. Because it was a corner room it is also abit bigger. We got a bunch of 2 for 1 tickets for the hotel and we where put on the champagne list for our whole visit.